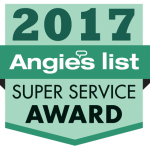 Angelo’s Technicians are Certified Rug Cleaners! In just the last 10 years, we have cleaned over 10,500 area/ oriental rugs! We have cleaned every type of material rugs are made of, from wool, silk and cotton to nylon, polyester and polypropylene. We will pick your area rug up from you or you may bring it to us in Phoenixville anytime during normal business hours. Please call or email to make an appointment to bring your rugs into the West Chester or Conshohocken locations as their hours vary. Phoenixville location does have a back entrance with a driveway and garage for easier access to bring your rugs in. We also have carpet cleaning services for wall to wall carpet cleaning! When cleaning rugs in our shop: We will then take it to our shop and test the colors of the rug to make sure they are color fast (do not run/ bleed). Based on our color test, the age and condition of the rug, we then decide what cleaning method to use or combination of methods. We offer steam/ hot water extraction cleaning, dry cleaning and low moisture encapsulation cleaning methods. We will clean the rug(s) multiple times and both sides as needed, and hand clean/ scrub fringes (these things can not be done in home). If the rug has an odor issue, urine or needs repairs, these things should be done in our shop as well. *This list is only a list of examples. There may be other spots or stains not included in the general cleaning. Looking for Urine Odor & Pet Odor Treatments or Sanitizer? 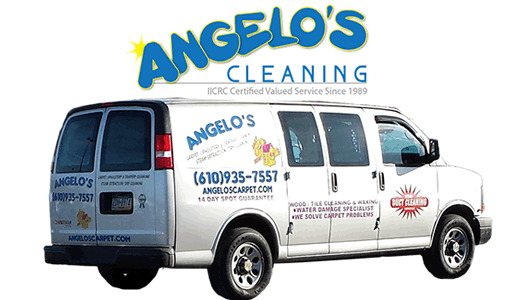 Call Angelo’s Today! 610-935-7557 Calls Answered Personally, free phone quotes! Serving Phoenixville, King of Prussia, Radnor, Newtown Square, Haverford, Wynnewood, West Chester, Coatesville, Downingtown, Limerick, Harleysville, Norristown, Upper Darby, Lansdale, Pottstown, Douglassville, and surrounding areas!